Following the recent announcement of Heineken as title partner of the Heineken Champions Cup for the next four years, EPCR has unveiled a new logo today for Europe’s premier club competition. 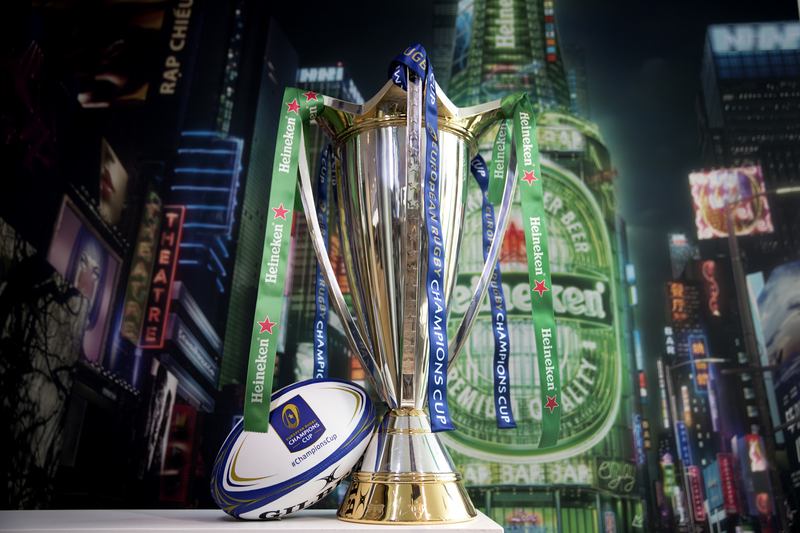 EPCR’s design agency, Designwerk, was tasked with creating the new identity based on the integration of Heineken as a premium global brand with the power and energy of a tournament that is driven season after season by stars of the world game. “To achieve this, we looked at how a rugby ball moves through the air and developed the concept using two separate rings that spin together to create the feel of a turbine engine,” said Designwerk Chief Executive, Cristian Cook. Leinster Rugby will kick off the defence of the trophy they won on an historic day in Bilbao when they open the 2018/19 campaign at home to Wasps on 12 October. The clash at the RDS Arena will launch what promises to be another stellar season culminating in a finals weekend next May at Newcastle’s St James’ Park.